Qatari envoy says his country will give aid to poor families rather than pay the salaries of Hamas employees in Gaza. Qatar said on Saturday it will no longer fund salaries of Hamas employees in Gaza but will still give aid to poor families. We "will not pay the salaries of the Hamas employees", Qatar's ambassador to the Gaza Strip, Mohammed al-Emadi, told the AFP news agency. His comments come two days after Gaza’s Hamas terrorist rulers rejected a cash injection over what it said were unacceptable Israeli conditions. Israel had already allowed two installments of Qatari money to enter Gaza for the payment of Hamas employees. On Thursday, Prime Minister Binyamin Netanyahu and the Security Cabinet approved the transfer of the latest installment of $15 million from Qatar to Hamas in Gaza, which Netanyahu froze on Tuesday following the shooting of an IDF soldier by a terrorist from Gaza. Hamas, however, refused to accept the money “in response to the occupation policy”. "The tension was very high on Hamas ... internally and on the Israeli government the tension also was very high from the opposition," Emadi told AFP in Gaza. Emadi said his country would still donate the remaining $60 million in aid it has committed, but mostly through United Nations programs instead. The Qatari ambassador has previously said on Friday that his country would channel millions of dollars in humanitarian projects "in full coordination with the United Nations", adding that the first package of agreements, worth $20 million, will be signed with the United Nations on Monday. "Both sides are relieved now; totally relieved, and it is much better" this way, Emadi told AFP on Saturday. 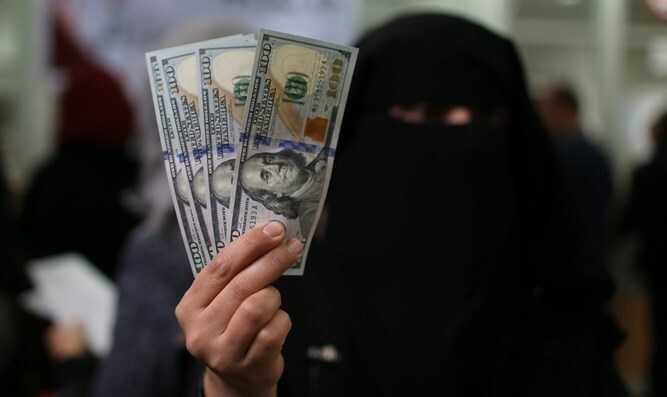 Earlier on Saturday, 94,000 families in the Gaza Strip started receiving new $100 payments from Qatar, according to AFP. Half the funds were distributed Saturday and the rest Sunday, officials said.